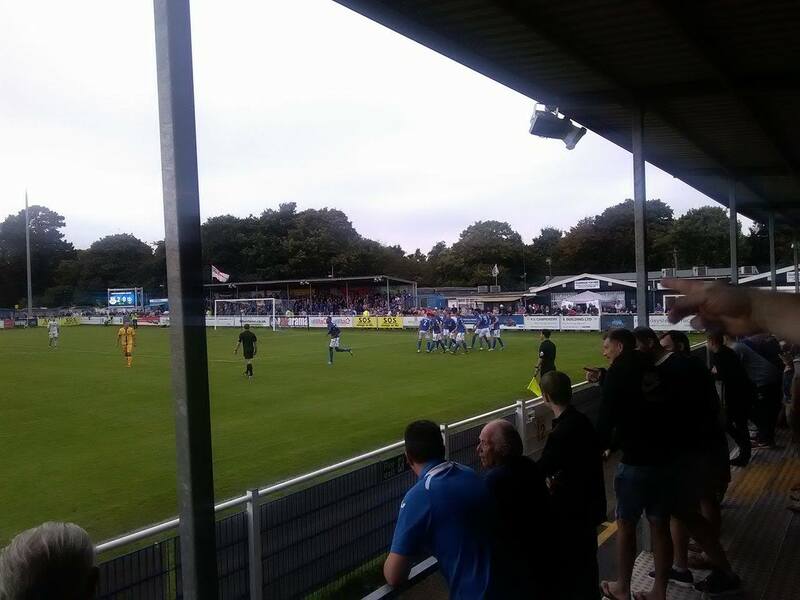 Eastleigh keep themselves within a whisker of the National League’s playoff positions with a nervous win over Sutton United, winning at home, 2-1. With Sutton United being a mid-table team this was a critical game to win to stay in contention of reaching the top 5 of the league. The first half definitely didn’t show much of anything from either side and many were coming to terms with a mediocre 0-0 draw that would have been a disappointment for all around. It took 30 minutes for the first shot on goal to be registered and that honour went to Sutton. However it definitely didn’t challenge Ryan Clarke, who made his debut for Eastleigh. 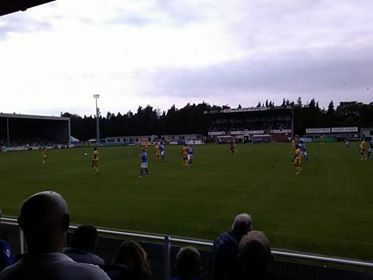 The only real chance of the half came in the 41st minute from Eastleigh as the ball was sent just wide of the right post. The second half proved to be more entertaining with a noticeable increase in pace from both sides after the break. Some well worked offense from Eastleigh led to a cross which landed at the feet of Luke Colson who broke the deadlock, putting it just beyond the read of the Sutton goalie. Then just two minutes later, Colson again went on another run, slicing the defence and netted a second at the 50 minute mark. 2-0 Eastleigh. After this brutal onslaught, Sutton seemed to wake up a little and started to get their engines going. It was now time for Eastleigh to go on the defensive and if it wasn’t for the man of the match performance by Ryan Clarke who made some incredible saves this fixture would have ended differently. Several times he had to make dives to either corner to push the ball beyond the post. A few more chances came from Eastleigh again around the 70 minute mark as Joe Parlington showed off his footwork but ultimately put it over the bar. Then out of nowhere a long pot at the net from the Sutton number 11 found the perfect spot, about the only thing that was going to beat Clarke today. 2-1 Eastleigh, game on. The Eastleigh fans let their heads drop even further when a handball gifted Sutton a penalty. The whole of Silverlake Stadium held their breath, and once again Ryan Clarke stepped up and saved it. From then on, although desperate, Sutton’s attacks were mostly harmless and Eastleigh were able to hold on for the win. With this victory Eastleigh remain in 6th position after 12 games with 22 points. Only differentiated from 5th by goal difference, this season should be very interesting.